The next town over has a cute little spray park and very small beach on a pond. I took the boys there by myself one morning when we just needed to get out of the house. They had such fun! 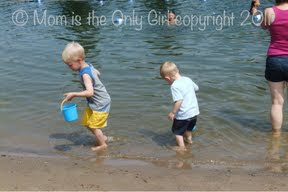 The water was nice and shallow, which they loved, and there were no waves, which was a definite plus! They made lots of friends and brought lots of sand home – unintentionally! This was the first year either of them seemed to like the spray park area. In the past they’ve always splashed in the puddles formed around the park, but not run through the spray like they did this time. It was so fun hearing their squeals! Our church basement has a color pattern on the floor. I had some church nursery business to take care of one Sunday after church when the weather was not good for the boys to play outside and they were getting antsy. I came down to them and Hubby after my meeting and found them playing a game that Hubby had created. Sweet Pea loves his trains, we kiddingly say he’s OCD about trains, so sorting trains by color seemed like such a natural thing for him to do while playing. Because of this fascination with trains, we have a lot of engines, freight cars, tank cars, you name it. Sweet Pea can tell you the type of each train car without hesitation. Telling you his colors, on the other hand, is much more of a challenge for him! He might not get the name of the color correct (hardly ever) but he can group the train cars together by color! A lot of the time he doesn’t stop there, but sorts them by type as well. If he’s feeling funky, he also couples them together and counts the number of train cars in the train he made. Or maybe he’ll make a train of all the same type of car and then count how many he coupled together. The possibilities seem endless to this little guy! There are so many ways you can play with trains! What ways do your little ones play with trains, or what other things do your kiddos like to sort, count and obsess over? Sweet Pea and I ran to the store this morning and saw many pumpkins in different displays. Everywhere you looked there were little groups, never just one. Sweet Pea was very excited and ran up to the first ones he saw and immediately started counting them, setting one finger on each as he counted! It seems like whenever we see more than one of anything he starts counting with delight! I, of course, thought this was adorable, but didn’t realize until after he counted a few groups that we had a little following of admirers. Sweet Pea was the star of the show! Funny how fun (sneaky) learning can be! Whenever we go to Grampa’s my boys look forward to a few things, two of which are playing in nature and playing with his young neighbor! Uncle Craig and Aunt Lisa are both into science, too, so my boys were totally in their element with them exploring. One night they went on a creepy crawly search. They found centipedes, potato bugs and salamanders! That’s a salamander in Uncle Craig’s hands (above). Of course a trip to Grampa’s always includes a fossil hunt. 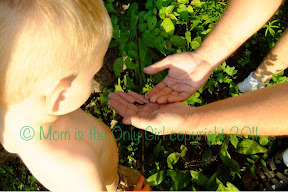 In the above pic Aunt Lisa and Uncle Craig found creepy crawlies, but the boys were checking out the fossils! 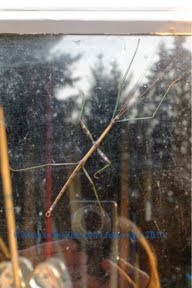 I remember seeing stick bugs growing up out in the country. They are the most amazingly camouflaged creatures, in my opinion that is! 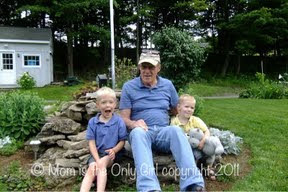 This August when visiting my Dad the boys got to see two up close! I apologize for the dirty window making this a horrible picture, but this stick bug was seen crawling up my dad’s workshop door. It was a nice sunny spot, and this guy and his friend hung around on the window for several hours a couple of days in a row. We’re thinking it must have been a good hunting spot or they enjoyed the warmth. 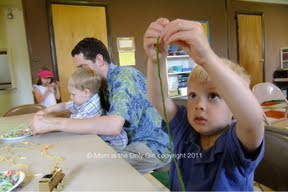 The boys were fascinated with these stick bugs, but didn’t stay around long observing them. They were probably too high up and they didn’t move, which made them a little boring to watch! We had great plans of reading about them in our bug book when we got home, but we still haven’t done it. It was great to see them get excited about something they’ve never seen before, though! 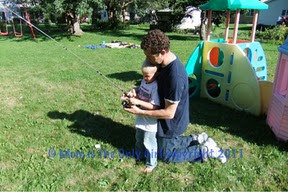 Hubby and the boys had a date in the backyard with the fishing pole, some line, a roll of tape and the kiddie pool. Simple, fun learning and some serious coordination practice! The boys had a blast trying to land the roll of tape (which was tied to the end of the line) in the empty kiddie pool! 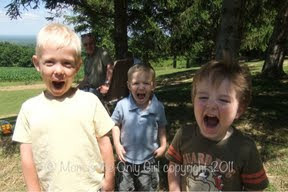 Hubby seemed to have as much fun trying to show the boys how to ‘fish’ as they seemed to have fishing! To say my boys were fascinated with this (large and creepy) spider is an understatement! I spied it on one of our outdoor plastic chairs. It just kept crawling around the back of it, back and forth. The boys didn’t try to pick it up, but they did try to get it to crawl onto a stick, which of course it didn’t do (much to my relief!) I am all for my boys being interested in science and creepy crawlies, but hairy spiders just freak me out! After watching this spider for at least half an hour, we looked up spiders in our bug book and on the Internet. 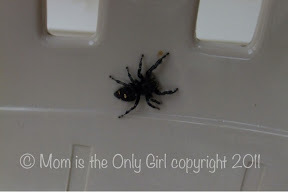 While outside we observed that this spider was a little hairy, had eight legs and looked like he had bulging eyes. We discovered from the bug book and Internet that spiders have eight legs, two body segments and that they cannot chew. Their legs are attached to the front segment of their body, and they have 48 knees! Also, the hair on their legs pick up vibrations and smells from the air. All of this is way too much information for me and way more than I could tell my boys about spiders, but the boys loved it! I’m so glad that I can use the Internet as a learning tool with my boys! I’m just worried that I’ll find them trying to dissect one! I came across this great blog called Stay and Play a couple of weeks ago and was very excited to discover this week is science week there! I can’t wait to try everything that’s already been shared with my boys! I encourage you to check it out – science-y stuff for more than just a grade or two to enjoy! This is just a reflection of an interest of mine (and my boys). It is not a paid advertisement, I am not being compensated in any way other than reaping the benefits of fun science time with my boys! Nana and Papa organized a picnic for everyone in Hubby’s family this summer. It was at a neat park where the kids played on all the equipment, but was also close to the Erie Canal. We walked a little path to get there and found there was a little deck where you can watch the boats go by! We saw The Colonial Belle, a canal tour boat, a few small canal boats, many kayakers and a lot of bicycle riders! We had the opportunity to talk about boats, water safety, and the canal with the boys which actually was a lot of fun! Maybe next year we’ll take them on a canal cruise! Happy Anniversary, Nana and Papa! 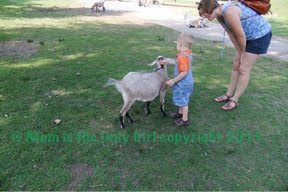 On our visit to Gramma’s we visited a neat children’s petting zoo called Fort Rickey Discovery Zoo, located near Rome, NY. I used to go here as a child, and although it wasn’t exactly like I remember, it brought back a lot of memories! In the petting area there is animal food available for purchase and you can feed the deer, which you can also feed this food to any hoofed animal in the park. Also in this area is a little pond on which you can take out the paddle boats and feed the fish. 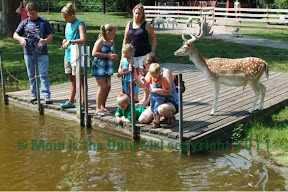 In the picture above that’s me, Sweet Pea, another family and a deer watching the fish jump up to practically eat food right out of our hands! 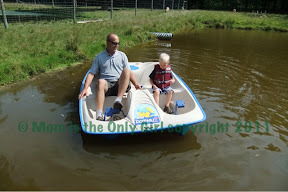 Here are Cutie Pie and his Uncle Craig out on the paddle boat! There were also goats in the petting area, which Sweet Pea really liked! 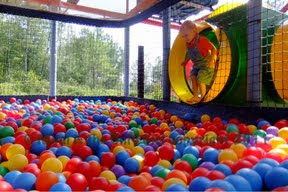 or just jumping into a huge pit of balls in their playground structure! 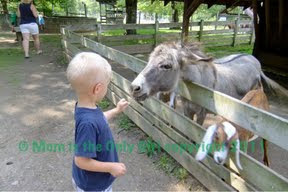 Sweet Pea really liked feeding the different animals that he was allowed to feed. 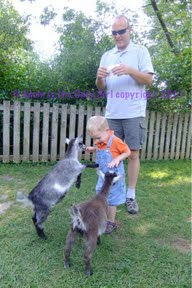 He also liked the baby goats, although you aren’t really supposed to feed them (they need a sign). 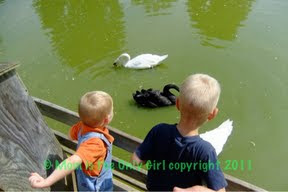 My guys were fascinated getting up close to the animals, and even more tickled that they could feed some! The variety of animals wasn’t that huge, but that was a good thing for us because it got the boys asking some good questions and noticing how the animals we saw were alike and how others were different (think different kinds of deer, a couple of otters, bunnies, turtles and snakes). I would definitely recommend checking out Fort Rickey if you are in the Rome, NY area. It seemed like just the perfect activity for kids my boy’s ages! 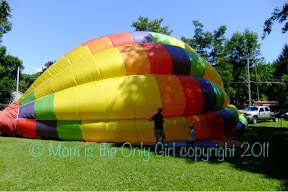 Here’s another balloon post for you, except this time on a much smaller scale! We’ve done this several times since I saw this idea in a few of our many science experiment books. The boys love it and never seem to tire of it being the fun indoor activity that I reach for when I need to get something done in the kitchen and want to have them nearby, like on a ‘bickering day’. It’s really quite simple! Take a piece of yarn and thread it through a straw. Tie the yarn to a doorknob across the room. Tape the straw onto a balloon that is full of air, making sure to pinch the balloon closed so it doesn’t shrink while you are taping. This step is a good one for working together as a team, otherwise you’ve got to have a lot of coordination! Hold the string tight and let go of the balloon! What happens? Does the balloon go fast or slowly? What happens if you don’t blow the balloon up quite so much? What happens if you forget to use tape? What other observations can you make? I tried many times to get a picture of this and it comes out blurry every time. I can’t even manage one of either of them simply holding the yarn as they are so giddy with excitement to watch the balloon rocket take off! Can you guess where we are by looking at only the top picture? We are sitting inside a hot air balloon! On our recent visit to my Dad’s we stopped by a health fair at the local park. The boys were fascinated with this balloon! 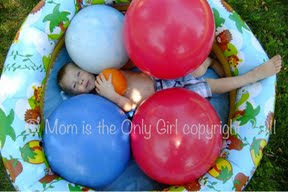 Evidently it is a balloon that is no longer used for flying, so it is used in such a creative way for fun things like this! The picture doesn’t come near to what the experience was like being inside it! 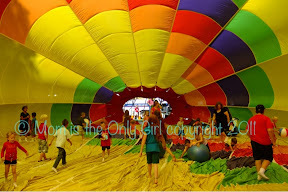 Beach balls, and exercise balls all being kicked by shoeless boys and girls totally immersed in color! That’s Hubby and Cutie Pie checking it out from the outside! What a unique experience! 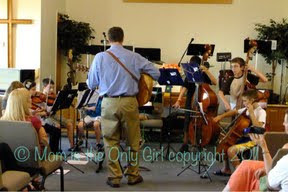 Hubby taught lessons all summer, like usual, but this summer he also invited a select group of students to be part of a summer orchestra. These were all first year students and were from the different schools he teaches in. Our church was nice enough to allow him to use the facility for rehearsals and the concert (that’s why you can see the cross in the photo). It was fun to bring the boys to this. Normally his school-year concerts are late enough at night that they don’t get to go. 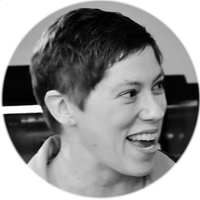 I was proud of them – they sat nicely and clapped only when ‘appropriate’ and paid attention to the music, the way the students played, and they noticed the connection between Hubby directing and the student’s playing! Instrument petting zoo times throughout the year are fun, but it was a neat musical experience for them to see the instruments play songs their Daddy wrote and see them up close! The Orkidstra concerts we go to are wonderful and have petting zoo opportunities, but the performance portion is far away. (See previous posts about these here and here.) Sitting so close to the orchestra playing at this time really made an impact on the boys! I think it also helped them understand a little bit more of what their Daddy does when he’s working! You never know what you’ll do when you go to The Strong National Museum of Play! 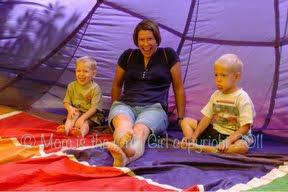 or simply jumping with your kiddos, enjoying a fun game while Sister and Brother Bear watch closely! We love going to a play place where a 2 year old and a 4 year old can find engaging activities to do together, next to each other and with an adult, fine motor, gross motor and/or using pure concentration. I’m looking forward to checking this place out with just my 2 year old after Cutie Pie starts Pre-K this fall! I’m sure his interests will be slightly different when we are there without big brother! At the end of the year the boys’ Sunday School class was talking about giving to show love. All of the children in the class made something to give away to someone in our church or at home. Hubby and I were a little surprised that both boys were into this stringing activity. It seems like when we try some things at home they are so not into it, but when they are around others trying the same thing sounds exciting! 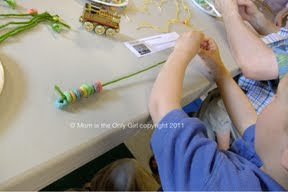 I know every child has probably strung beads or loop cereal onto a string, but it was pretty neat for us that even Sweet Pea was in on the action! With a little help from Hubby he did really well, even making some bracelets to give away without eating them! Cutie Pie wanted to work mostly on his own. See the serious concentration in his eyes? He did really well, too, but wanted to get sugary cereal after this activity! 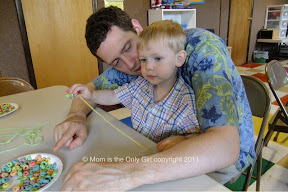 I’m still actually considering it if it gets this fine motor practice happening at home! Both boys gladly gave away bracelets they made, showing love to others, but still kept one for themselves! 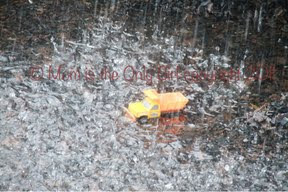 It was a good lesson, and very practical for the boys’ ages! Do you remember Lincoln Logs ? Hubby again pulled out the ones he had as a child and the boys really like them! They all pretty much camped out in the rumpus room during the heat-wave and played with them instead of daring the heat outside. 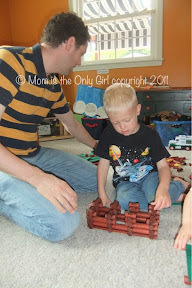 Other than the obvious building skills, Lincoln Logs are great for my boy’s coordination and concentration. They take a lot of that to build anything on bumpy carpet! They also get your mind going figuring out the process to build what you want the way you want it whether you are building something pictured on the box or not! It gives Hubby and I a chance to see how the boys are doing following directions, too, as often they’ll ask us for help building a particular structure and we try to get them to help us instead of doing it for them. Sweet Pea decided the balls belonged in his pool instead of water, but that he still needed to swim in his pool! We’ve done this many times since, each time there is a different combination of ball sizes and colors, which gives him a lot of practice with his colors and counting! He’s also getting a lot of pretend play in – who knew there were so many things to swim away from or swim to in such a small pool, or that balls could actually be fish or boats? Visiting my dad is always special for me. There was something special about growing up in the country where the school bus sometimes couldn’t get up the hill and where you could play out in the woods, far enough away that you couldn’t hear your parents call you in for dinner and didn’t have to worry about anyone ‘stealing’ you. I’m glad my Dad still lives ‘up on the hill’ so that my boys can experience a little of this, too, on our visits. Hubby and I live in ‘the village’ in a very nice little neighborhood where neighbors know each other enough to stop on the street and visit when walking after dinner, or hang over the fence to talk. It’s a great place to raise our boys. They’ll have neighborhood kids to play with and a few safe places to run to if they need to. Growing up on the hill with my Dad’s best friend and wife sharing ownership of the property I had that, but on a much smaller scale as there just weren’t as many neighbors. However, at my dad’s, there is a great freedom in being able to walk out your door, explore nature, stay out for hours and not have your parents with you. Here we don’t let our boys out by themselves, and probably won’t for a long while, as it’s busy enough to have that nagging worry about people watching your kids for a moment when you’re not there. Dad’s property used to be surrounded on 3 sides by fields and one side by the road. Today it still has fields on 2 sides of it and the road is a bit busier, but that’s the back of the house, so it never really mattered much. Even the third side has a good boundary of trees and a hill between his house and the neighbor’s. 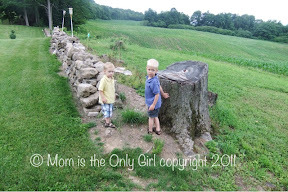 My boys love to run to the bottom of the property and explore the stone fence for fossils, rocks to throw into the field and search for little insects without a care, and I love the fact that I can watch from inside the house, just to keep an eye on them not wandering too far over the property line. And of course, you never know what you’ll find at Grampa’s! 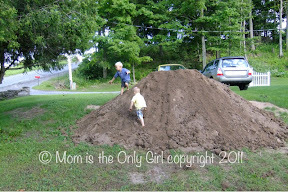 This time it was a huge pile of dirt, which the boys utterly enjoyed! Something about going to my childhood home and being surrounded by nature revives me and I can’t wait to go back! Sadly, strawberry season has been over for a few weeks here. 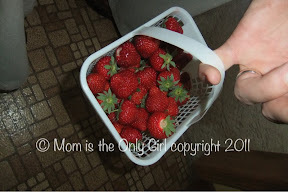 My boys love their strawberries. They also love our neighbor, Miss N. She has a great garden which grows too many fruits and vegetables, but that’s OK with us because she shares! Not only does she share with us, but she always shows an interest in the boys. She talks with them, asking questions about what they are up to, what they’ve been doing and where they’ve gone lately. She treats them like the little boys they are, but in the way she talks with them, she treats them like who they could be. I love that about her! She is the mother of three grown children and often shares wisdom with me in a very positive way. It seems like there are so many out there who share in a condescending way, or in a very authoritarian way about what I should be doing with my children, or how my children should be behaving. I so appreciate her way of sharing! I grew up with a wonderful neighbor, I call a her my Christian Mom, as she is the one who started me going to church and ultimately led me to know Christ as my Savior. I’m so thankful to have a neighbor like Miss N. for my boys, whom we can have such an awesome relationship with, even if it’s not just like mine with Gen. A neighbor who can offer encouragement to both me and my children, as well as help keep our grocery bill down! 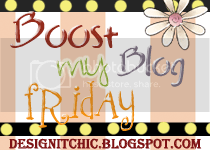 Moms Of Boys society Blog Hop! If you are visiting from The M.O.B. Society, welcome! If you are a regular reader, check out M.O.B., especially if you are the mom of boys, and keep reading to learn a little bit more about me! M.O.B. is a very uplifting community of moms to boys, and even though I just found it recently, I really recommend checking it out! My name is Tricia. 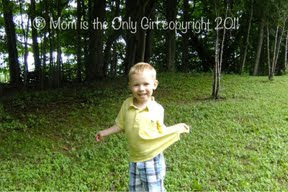 I’m the mom to 2 boys, my 4 1/2 year old Cutie Pie and 2 1/2 year old Sweet Pea. I’m married to Hubby, a music teacher and the love of my life. We are celebrating 18 years of marriage this coming weekend and although we’ve had a lot of adventures together it hardly seems like we’ve been together this long! Together we are raising our boys, trying hard to raise them the way Christ would want us to, and therefore together we are praying we are on the right path in parenting! 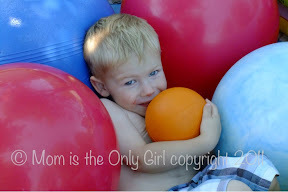 I like to blog about the every day things I do with my boys and what we learn. I’m more of a journal-style blogger, but that (I hope) keeps me real to my readers. My little guys are very interested in science, more so Cutie Pie, and therefore I include science and science experiments for the preschool ages on my blog, too. Currently Hubby and I have been reading a variety of books to the boys. Since Sweet Pea is really really into trains, we’ve actually spent a lot of time looking at train catalogs that we’ve received for free at different times as well as reading any other book that even hints at a train or engine. Cutie Pie has just recently finished listening to Hubby and I read Dr. Doolittle to him at bedtime and seemed very interested, even though we think at times he just didn’t understand the whole story. As a mom I wear many hats. My favorites, of course are those of wife and of mom, but I also am co-chair of Women’s Ministries at my church as well as nursery coordinator. I try hard to be a good friend, and am involved in the local MOMs club. 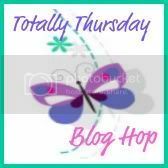 I’m so excited to have found The MOB society and participate in this blog hop! We love our church. 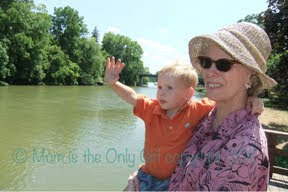 There is a great mix of ages that attend, and all the children that attend are so sweet. 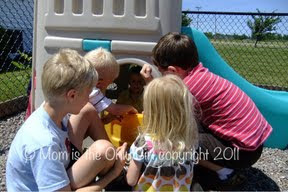 Quite often after church you can find kids of all ages playing on the small church playground together. I think Sweet Pea and Cutie Pie had a good basic lesson in how money works! (give and take, payment in exchange for goods, basic math) I think I may try to make some play money for them and see what happens with it in their hands! Painting on the deck can change an ornery little guy into one of these! Isn’t it an awesome thing when you change the environment of a favorite activity and it just soothes an otherwise cranky child? 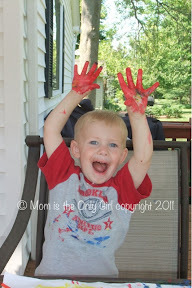 We had no idea how quickly Sweet Pea’s mood would change when we brought the paint and paper outside to the deck. He was almost even more excited to paint outside than he’s ever been excited to paint before! Of course, it ended up being more messy than usual, but that’s OK. The kiddie pool was just off the deck and he quickly got into it! We took Cutie Pie and Sweet Pea to see the new Winnie the Pooh movie in the theater this weekend. It was the first theater movie they’ve seen, and although they were a little overwhelmed by the volume of the previews and movie as well as bothered by the number of previews shown before the movie, they really liked it! Cutie Pie asked Sweet Pea, our 2 1/2year old, if it was too scary, as this was a mutual worry they had going into the dimly lit theater, and Sweet Pea responded with “It was only one scary!” and held up one finger. You’ve got to love it! As a mom I would recommend this movie for your little one, but if I could I would ask the staff to lower the volume for the little ones’ ears! The second installment of pics that were missed earlier this year. Just seeing these sweaters in this 90 degree heat we are having here makes me sweat! While visiting Gramma earlier this year we had Chinese food and the boys all tried their hands at chop sticks! Now, this might just sound like something fun for anyone to try, but Cutie Pie has a fondness for using the appropriate utensils, and for using a separate utensil for each type of food on his plate, so this was a really fun stretch for him! Hubby knows how to use them enough to eat with, so he gave the boys a quick lesson. Of course, he’s much more coordinated than they are! Cutie Pie gave it a go and managed to get creative in finding his own way to get food into his mouth and really had fun trying. Sweet Pea couldn’t quite do it like Hubby either, but tried a similar method as Cutie Pie, however it was slightly more horizontal and involved the tongue sticking out. That worked pretty well for him! Both boys agreed it would be fun to try chopsticks again. I’m glad they were open to the idea of eating differently than they normally do! Next time I hope it won’t be a spur of the moment meal thing, or at least that we will be prepared to talk a little more about the Chinese culture. As you probably have already guessed, my boys seem ‘into’ science. Mostly dinosaur-related and tangible experiments, but they also like to read about things and ‘touch’ if they are able to. My sister gave the boys a great bug book and collecting kit for Christmas and now that it’s bug season they are enjoying them even more than they did before! Explore Bugs , by Maurice Pledger, is a great kid’s bug book! The pages are full of brightly colored pictures and packed with lots of information in the format of simple information-filled sentences. There are also small fold-out books attached to some pages with even more details, as well as ‘Fun Facts’ and ‘At a Glance’ highlights. My guys like to pull this book out after we come in from outside on those days when they saw bugs in the grass or on the driveway and try to find the bugs they encountered. They seem fascinated by the details, especially when they just saw the bug. In this instance they were just looking at the book with their magnifying glasses (like they look at the bugs outside) and were checking out the Atlas Beetle, which according to the book can carry more than 8 pounds! Isn’t that crazy!? I tried to show the boys how much 8 pounds is by letting them hold my two 4 pound weights. Cutie Pie was amazed at that Beetle even more after that! Cutie Pie has been singing a lot lately! He’s always been a singer, but lately he’s been improving! Sometimes we’ll walk in the room and hear him singing very quietly to himself. Other times we’ll be in the kitchen cooking or whatever and hear him belting it out. One of Cutie Pie’s favorites is ‘I’ve been Working on the Railroad’ to which he often can be heard inserting his own rhymes. Many times this gets Sweet Pea singing too. Usually when they both sing you can hear just how off-key Cutie Pie is, but it is amazing how many lyrics they both know! Now, I’m not talking Top 40 or Golden Oldies, rather the more kid-friendly songs, many of them from Thomas the Tank Engine , but also from albums like Big Rock Candy Mountain or by artists like Tom T. Hall . If you are looking for some kid-friendly music that isn’t the norm check these two albums out. Our kids love them! We love to hear our boys sing. They are improving their minds by learning rhymes and memory skills along with math and music skills and appreciation. Plus their little singing voices are just so cute! This is purely a reflection of my opinion and the opinions of my children. I have not been compensated in any way for the mention of these albums or artists. Everyone has seen them, those big foam interlocking squares with letters you can poke out sort of like puzzle pieces…well, we have those, too! Sometimes they are brought out on rainy days when we’ve played with everything else in the house. Other times they are brought out because my kiddos request them. This day was a day they wanted to play with them and they did so in many ways! First, they made a matt with them and poked all the letters out and put them back in again (letter recognition, motor skills, coordination). I’ve never seen Sweet Pea (the 2 year old) have such fun doing this before! Last time we did this was about 4 months ago, so it might just have been a readiness issue. And sometimes they make a path with them and just run along it. Other times I call out a letter and they run to it, sometimes picking the letter up or tracing it with their fingers. This usually gets lots of giggles! Then there’s always the ball-rolling game with Sweet Pea. Nothing entertains this 2 year old more than rolling a ball with him, and adding a tunnel to the mix is just the ticket! He is so entertained by this! And of course, whenever we pick them up for the night we always place them back down in a matt and run around seeing who can put the most letters back in their place (coordination, cooperation, letter recognition, one-to-one matching)! This is becoming a really fun game for both boys! I hope everyone had a wonderful holiday weekend and stayed safe while having fun! Remember a short time ago I posted about thunder scaring Sweet Pea? Well, this has been quite the weekend for him! Even though we haven’t gone to any fireworks displays this 4th of July weekend, people in our town have decided it’s a good thing to shoot off fireworks at right about the time he goes down for the night! I decided last night I would just hold him until he fell asleep so he wouldn’t be quite so scared. Poor little guy would be just about asleep and hear one, lift his head to ask me “What’s that noise?” only to lay it down again while saying “Oh, fireworks, I won’t be scared.” I think he finally fell asleep around 9:45, a good hour and a half later than normal! (Of course, partially due to the fact that we had fun at a friend’s house and didn’t get home until a little later than usual…but not that much later!) As a creature of routine, I can only imagine what today will be like mood-wise for him! In the interest of him staying asleep I did not upload my pics to the computer last night, but will more than likely post at least one for Wordless Wednesday of the boys and their friends popping bubble wrap as their own fireworks in celebration of Independence Day!